AKT 200 Crammer + 3 Webinar Bundle - Save over £90! 1 day intensive preparation for the MRCGP Applied Knowledge Test (AKT) examination focused on helping you cover the difficult areas to pass the AKT. This 1 day course will help you assess your readiness and prepare for the AKT examination. By working through our 4 teaching mocks, which are done in a timed environment with screen layouts similar to the real exam, you will get used to the time pressures, question formats and key techniques to get through your AKT. After each teaching mock, we will go through the answers and have rapid reviews of the key knowledge / topics / current guidelines you need to be aware of. The 4 mocks combined cover 200 questions in the same proportion as the real AKT - 160 clinical, 20 evidence based practice, and 20 organisational / admin. This will give you a realistic idea of your performance, giving you a clear idea of which topics to focus on for your last week of revision. You will also get access to our exclusive AKT Mock Exam after the course - this has 200 AKT questions in the current exam format with feedback and explanations. This course runs as a whole day live stream webinar - join us from your home - you can ask questions throughout the day. You will get PDF topic reviews with all the teaching slides after each mock. The Course Director and main speaker is Dr Mahibur Rahman. He is a Portfolio GP in Birmingham and a Consultant in Medical Education. He has helped thousands of doctors succeed in their Membership examinations since 2006. You can find out more about him HERE. "I was really impressed at how much material we managed to cover in one day! Although it was a full-on day I came away feeling more confident about the upcoming exam, knowing that I'd covered all of the exam domains in a realistic set-up. Doing questions under timed conditions meant I felt more prepared for the upcoming exam. The day itself was more than just doing 200 questions; it was a kick-start to focus my final revision on the areas I was weakest in. With each area of the exam covered I wasn't able to avoid doing statistics, my pet hate, which was a good thing! As well as the practice questions and useful notes to revise from I've found being able to go back and review the material from the day on-line really helpful. 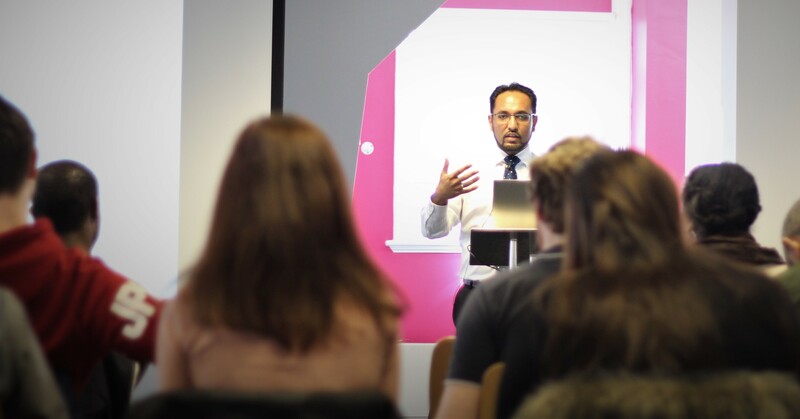 The teaching provided was a really good standard and focused on the needs of the group present; Dr Rahman knows what areas candidates struggle with. The questions and explanations were focused to increase understanding of these tricky areas and cover high yield topics likely to come up in the exam. The course also really complemented the other Emedica material I'd used to revise with and has helped consolidate my previous learning. I did an Emedica GP Stage 3 course to help me get into GP training so doing their AKT courses seemed logical. I've done the AKT preparation course, used the online question bank, as well as the MRCGP AKT 200 Crammer Question and I've found all of them good preparation for the AKT." Dr Tara Woodward - Dr Woodward went on to pass her AKT on her 1st attempt with a great score (more than 10% above the pass mark) - including 90% for statistics and 80% for organisational.